Wow! Have times changed for the pregnant woman! When I was working and pregnant, my fashion choice was a tent that just made me look twice as big. Now, as pregnant women in and out of the workplace look to be more stylish, lawyer and entrepreneur Tiffany Glenn Burress has launched Joiful Maternity, an innovative line of clothing for moms-to-be. 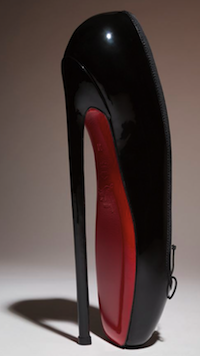 Like many women, I am constantly searching for the perfect shoe. Somehow, I always wish I could change this or that. 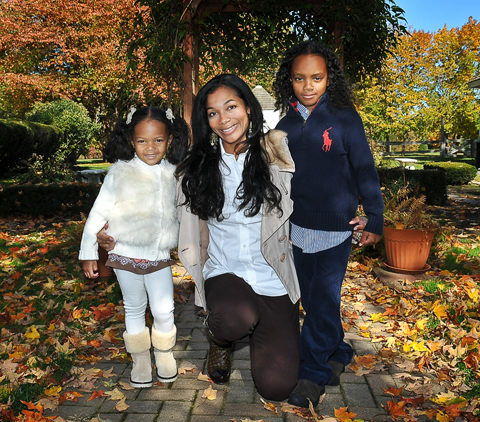 In 2011, entrepreneurial sisters Dorian and Ilissa Howard used all their hard-earned money to launch milkandhoneyshoes.com, a unique store on the internet! 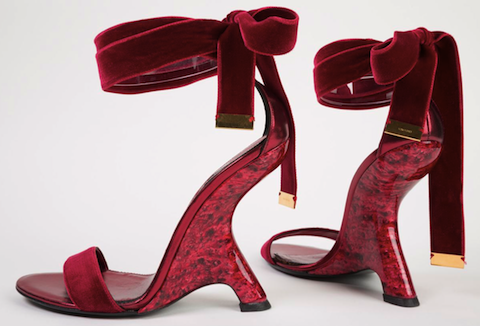 They made it possible for anyone to go online and and literally design a shoe of their dreams! Finally! When I attended Charlotte’s San Francisco art opening at Dogpatch Café & Gallery sponsored by the Museum of Craft and Design, the excitement which surrounded her felt like a sugar high. 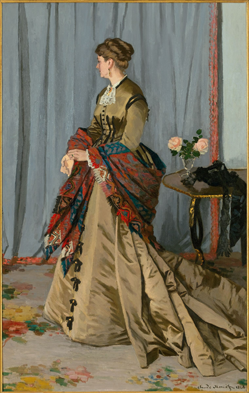 This was one of countless California exhibits of her work, including shows at San Francisco’s Legion of Honor and the San Jose Museum of Art. I had to learn more. 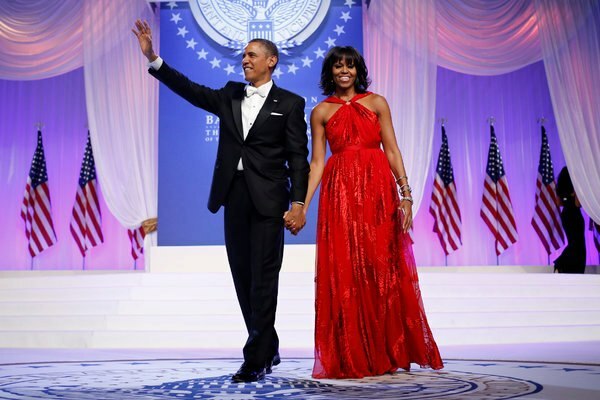 The world was waiting with bated breath to see what Mrs. Obama would wear Inauguration evening…and who the new designers would be. 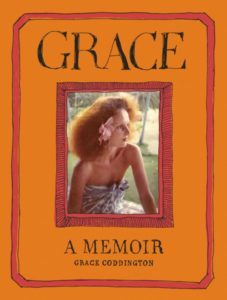 As we now know, she fooled everyone by sticking with Jason Wu, the designer of her smashing 2008 Inaugural dress whose star continues to rise, and that popular shoemaker to the stars, Jimmy Choo. What we weren’t necessarily thinking about was the jewelry she would adorn. Now Kimberly McDonald has surfaced as the new kid on the design block with the First Lady’s blessing. It’s the earrings, bangles, and “ring” she designed that are getting a lot of attention. I kept thinking why would a ring be getting this kind of publicity? It turns out it’s just not any ring. All eyes were focused on the ring that accentuated and pulled together the halter neckline on Wu’s spectacular some say fire engine red some say ruby red dress. 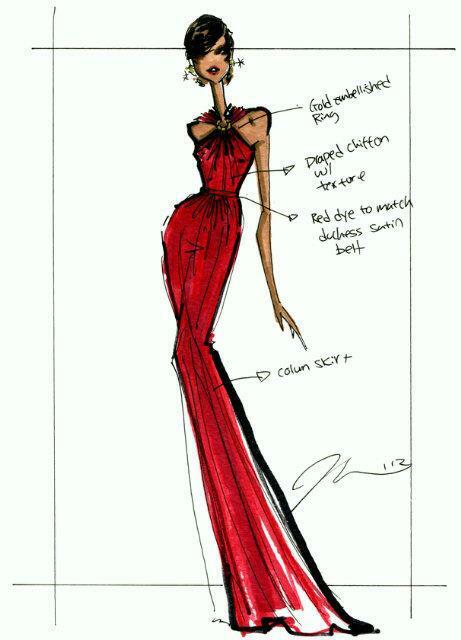 The descriptive words on his ball gown sketch are “gold embellished ring” as you can see here. 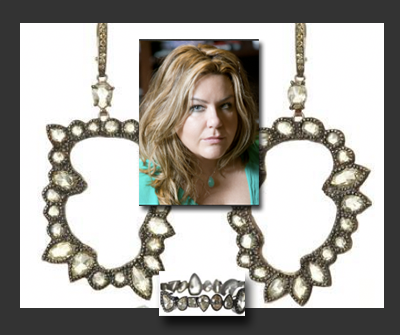 Kimberly’s jewels have been worn by Mrs. O before notes jckonline.com. They could be seen at the 2012 Democratic National Convention, at an Operation Homefront Ceremony and a Hollywood initiative. Understanding now exactly what this ring was all about, I had to find out more about the designer. It turns out that Kimberly is a native of North Carolina, has lived in New York and has had a shop in Los Angeles since November. You can find her jewelry in fine stores around the world. ABC reports that prices range from $1,800 to a hefty $100,000. Her website bio says she is committed to honoring nature by using reclaimed gold and wood as well as recycled diamonds and other precious stones. As she explains, “I like to think of each creation as an extension of what nature has given us.” To reuse rather than reap seems to be her mantra. Take a look to the right at the finely crafted earrings the First Lady wore to the balls. The show-stopping bauble to the left found on net-a-porter.com is further proof to her ingenuity and reverence of nature’s wondrous materials. 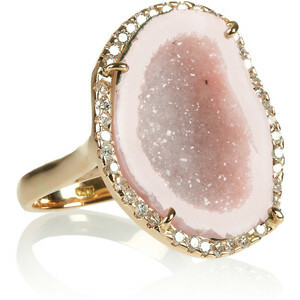 It’s a one of a kind 18-karat gold ring with a light-pink agate geode and diamonds. And now to those bangles on Mrs. Obama’s wrists. 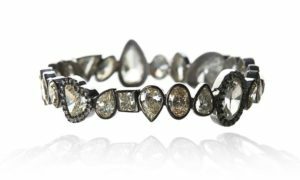 These unique bracelets with geode-outline shapes [all diamonds] were made by hand in New York as is all of her jewelry. 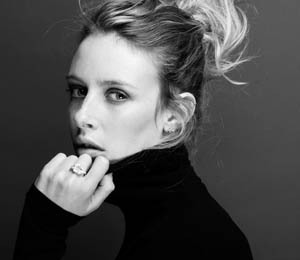 These are breathtaking designs by a rising star in the jewelry world! 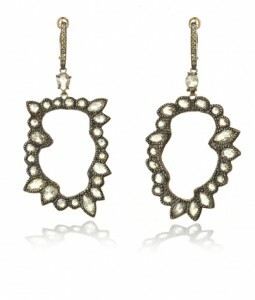 The baubles are not easily affordable but are eye-catching to say the least. The fact that they are eco-friendly using recycled and reclaimed materials is to be applauded. Here’s kudos to FLOTUS for introducing us to Kimberly’s beautiful artistry. Definition of Personal Transformation: That which can be achieved through struggle, self-examination and the execution of well-searched and self-altering ideologies. Or, you can put on a hat! This is what my sister and I concluded after a visit to London’s famous Harrods’ hat department. 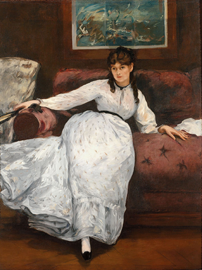 With each “ try on,” a reversal of personality emerged, Madame de Pompadour to Madame Bovary. 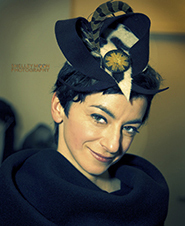 I first discovered celebrated milliner, Jasmin Zorlu, in her studio in San Francisco during artist “open studios.” It was magical. 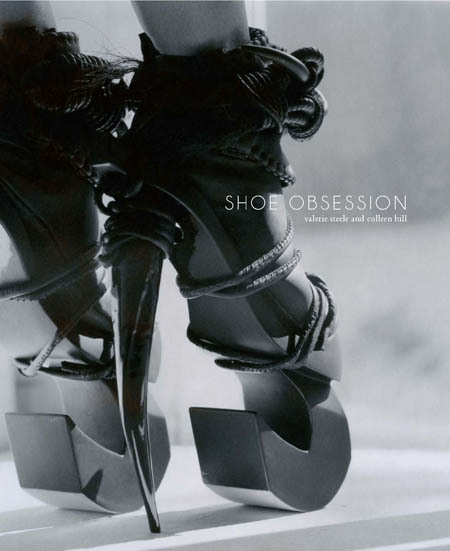 No one exemplifies style and transformation better than highly skilled and creative Jasmin. She combines old world quality with unique hat design. I saw hats in mid-process, some perched and resting, others hidden in hat boxes before journeying out the door. 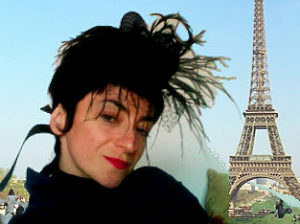 Jasmin and I had terrific fun trying on fabulous designs from snakeskin to cashmere to 1920’s cloche. Each style altered my persona, and the change was dramatic. I settled on a rabbit fur felt cloche. 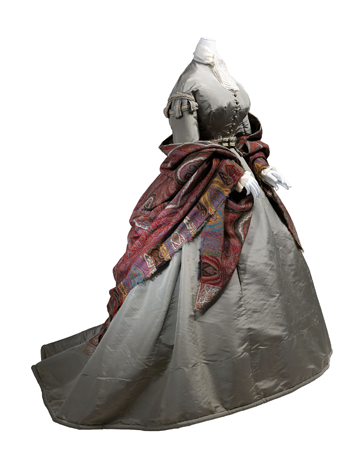 Like many of us, I got my first glimpse of haute couture from my mother’s Harper’s Bazaar and Vogue magazines. Jasmin was finding it on the streets of Italy, Turkey, Germany, Japan and Iceland due to her mother’s work with the American government. She traveled to many of the museums around the world. Both her parents recognized and indulged her early interest in being creative. 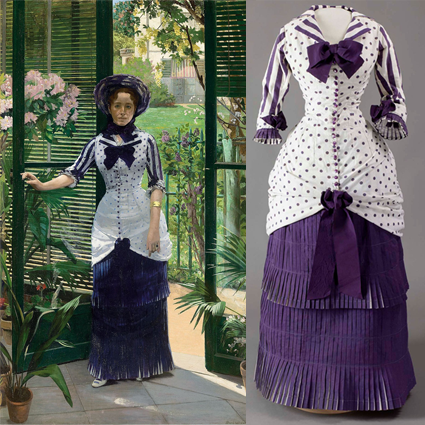 Her father taught her how to use a sewing machine when she was just eleven, and she made her own clothes. 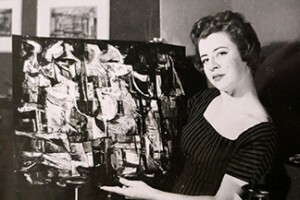 Her mother was an abstract expressionist artist who studied under Charles Pollock, one of Jackson Pollock’s brothers who greatly influenced him. 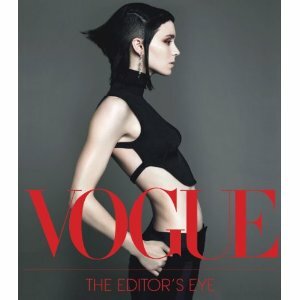 She bought Jasmin a subscription to WWD (Women’s Wear Daily) when she was so young she could only look at the pictures. 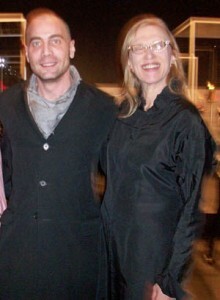 Instead she chose to go to the University of Michigan, and eventually connected with well-known hatter, Rod Keenan. 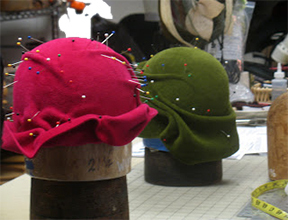 She moved to New York where she assisted him by hand sewing men’s hats. A job with Espirit as a footwear designer brought her to San Francisco, but her passion as a milliner again led her to New York. 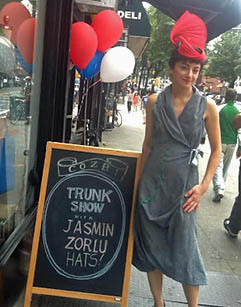 Her hats sold in Barney’s New York, and she shared a cooperative boutique with other designers in the lower East side. She laughed as she pointed out how in certain neighborhoods people will just look at her out of the corner of their eye, but in other areas people come up to her and say, “Wow! I love that. That’s great!” She wears her new designs to test the response she gets from others. Women undergoing chemotherapy like her head-hugging hats. “They made them feel confident. 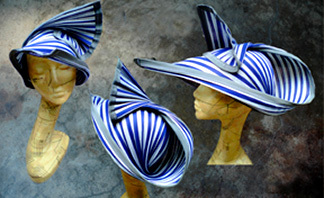 I make hats that bring out the beauty of the person who is wearing it,” she says. Of course I wanted to know if celebrities have her hats. Singer Erykah Badu commissioned a felt helmet named “Molecular Mermaid Helmet.” Neil Young bought a hat for his daughter, and Tom Waits bought one for his wife. 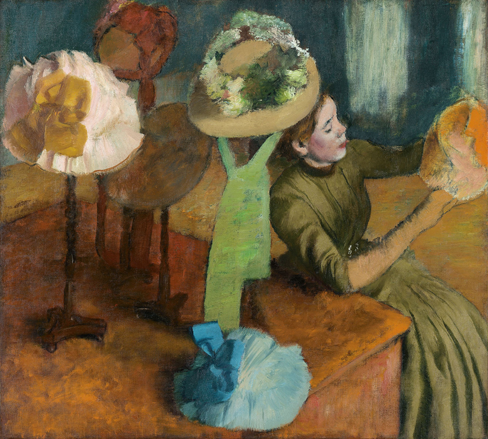 If you still imagine The House of Windsor when you think hats, then you should consider one of Jasmin’s workshops where you will emerge royally re-organized in your thinking about bowler hats, Sherlock Holmes and matching hats and purses. Jasmin teaches millinery part time at Parsons The New School for Design in New York, along with workshops in ‘Freeform Hat Blocking’ and ‘Crinoline Cocktail Hatmaking’ several times a year in San Francisco and New York. She exhibits world-wide. Expect more surprises from Jasmin. 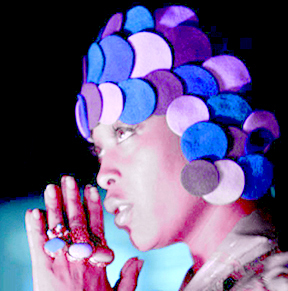 She plans on collaborating with artists by using their designs on printed hat fabric. 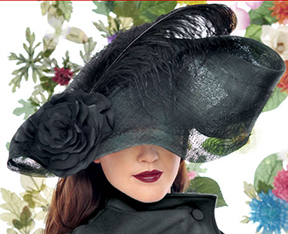 Look for her upcoming launch of a limited hat edition priced under $150 for Fall 2013, made in America. Dashing out the door? Don’t forget your hat! Wendy Verlaine is a TWE Contributor and a San Francisco Bay Area freelance writer, jewelry designer and owner of Verlaine Collections. Formerly a San Francisco art dealer, she continues to stay closely connected to the art world.